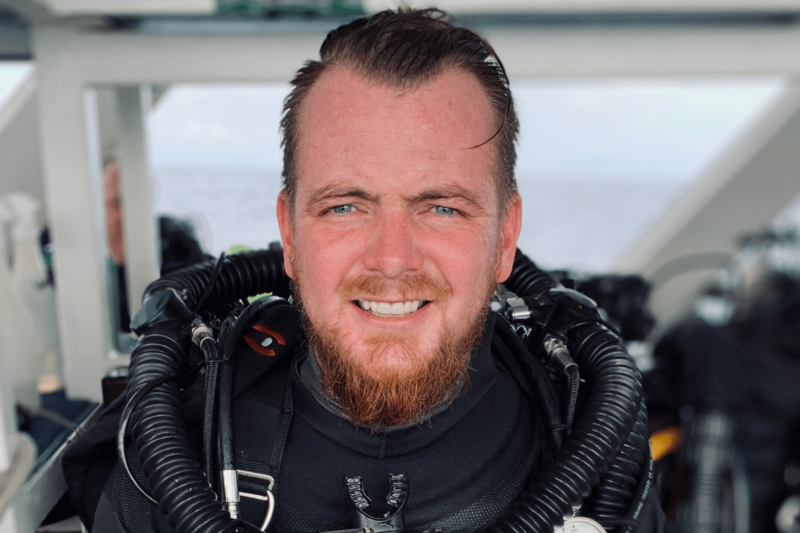 Aron Arngrímsson was born in Iceland and moved to Denmark in his teens where he gained a degree in business and experienced the underwater for the first time. Aron accepted his degree and caught a one-way plane out of there, leaving his graduation party behind off to discover as many new places as he could. Aron wasn’t looking for anything in particular upon his departure, but what he found shaped his whole future. A lifelong dreamer with wild ideas often shut down by his friends at home, he was set to discover a special connection within the expat community around the world. Freethinking minds would relish his ideas and share his insatiable thirst for personal development and conversation. It was on his gap year he took up diving again and this time he was enthralled and caught by the experience, hook, line, and sinker leading him to begin his adventures below the surface. 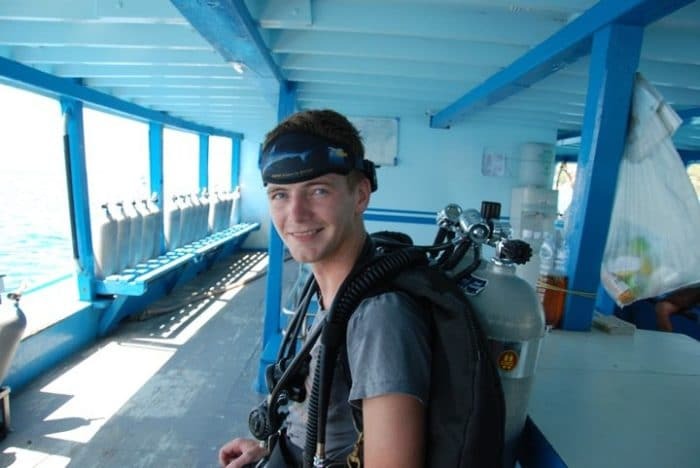 His early career began in Asia working as a Divemaster at Ban’s Diving Resort, the “world’s leading dive center”. Seeing a gap in the market he quickly learned that filming the guests’ exotic diving experience and producing a DVD was a great way to increase the salary. 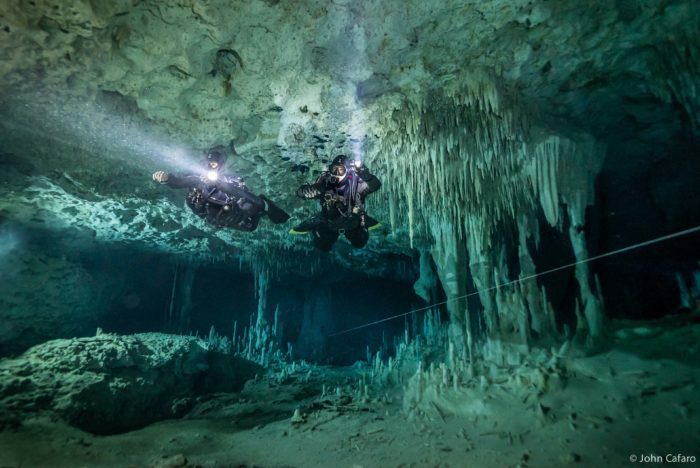 It was at Ban’s that he picked up his shrewd editing and post-production skills that became integral to his later career and where he began his technical diver training. “I will never forget when Craig Werger put a twinset on my back and put me on a skill circuit at White Rock at 10m. I thought I knew it all, boy was I wrong. There was turtling!” –Aron. Later on, a brief stint working as a commercial diver in Scotland soon came to a head when an electrified fishing net was dragged over him at depth and saw young Aron being cooked for five minutes. Survival in the bag, a few lives down, he was charged for the next big adventure and it was called Team Blue Immersion in Dahab, Egypt. Gaining his tec diver instructor qualifications Aron found great enjoyment in leading students beyond their recreational limits using open circuit equipment, closed-circuit rebreathers, and sidemount systems and also offering advanced gas blending, full face mask, support diving and a handful of other advanced diving specialties. Aron, in between teaching mixed gas deep diving, blending and sidemount systems at Team Blue Immersion concentrated on training industry professionals to film at depths of up to 100m, no mean 328 feat! 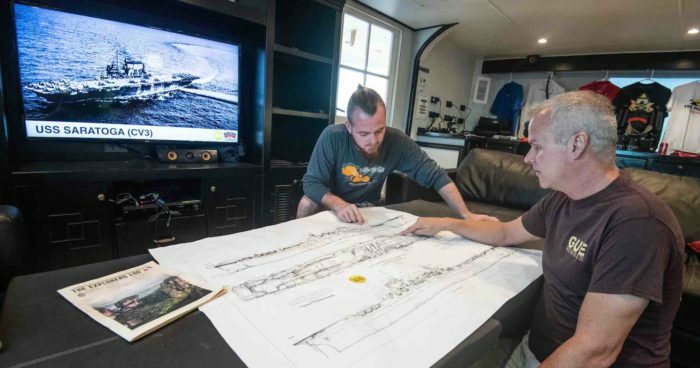 Featuring on Expedition Iceland – Project Hamilton 2011 Aron filmed the team breaking the Icelandic depth record, twice in as many weeks, and discovering a new hot spring system at 70m. 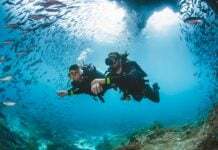 Aron is honest about the realities of the diving industry, occasionally finding himself somewhat lacking funds and searching for the next job. He also recognizes that the risks he has taken would not suit everyone and probably not even him nowadays when he reflects on some of the dives he has participated in. He is keen to convey an important message that depth is not a trophy, risk assessments are cool and are wary you can never know the full risk. At twenty years old Aron took full advantage of his perceived invincibility as he explored depths, training to 170m but that was not his accomplishment, merely a training tool to accomplish something and push limits comfortably. Now having barely broken the surface of his 30s and with a career rich enough in adventure to rival a lifetime spent at sea, it seems only fitting he found himself at the end of a 52 week stint in Truk Lagoon having a beer with The Captain of the Truk Master planning an outlawed community to live out at sea and explore the world-class wrecks and breed new strains of bacteria.  DeeperBlue.com: How did The Dirty Dozen Expeditions come about? Aron Arngrímsson: The concept of The Dirty Dozen came around, as a lot of good ideas do, with 2 friends having a beer. The captain of the Truk Master and I, which at this point had spent 52 weeks together non-stop diving the wrecks in Truk Lagoon, had watched the old Lee Marvin movie and were considering the idea that if 12 of our friends were with us and we could do whatever wreck we felt like. We are both passionate wreck CCR divers, and as time went on the idea stuck in my head and we decided to launch a trip and invite my closest friends. Conveniently, the wreck list had 12 wrecks on it as well. The concept has been interpreted in many different ways and it really seems to resonate with people. Shaving bans/undergarment washing bans have been implemented on trips! Group shot from an expedition with The Dirty Dozen. 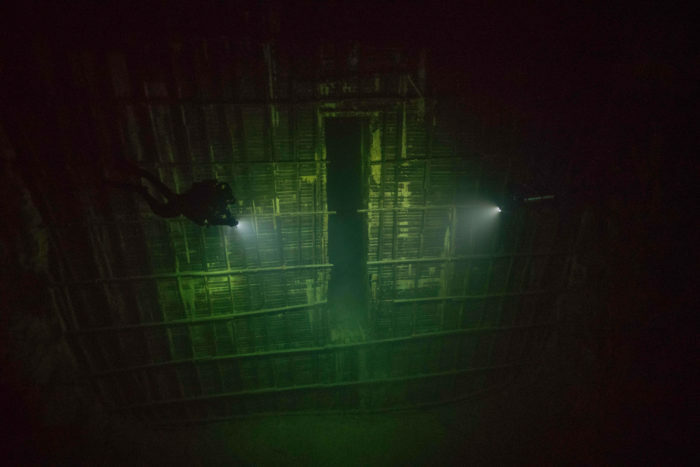 DB: Truk Lagoon or Bikini Atoll? AA: Very good question! The Dirty Dozen currently runs trips to both destinations for both the recreational diver and the technical diver too. I usually recommend people to start with Truk Lagoon if they have not been. 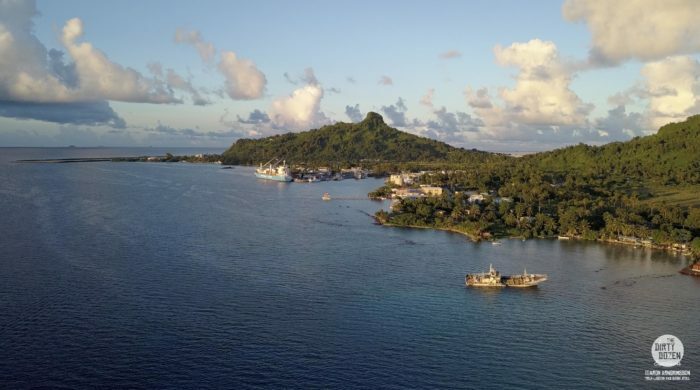 Although they are both wildly different destinations with breathtaking wrecks to discover, and the average depth in Truk is shallower and therefore perfect for the recreational level. Truk provides a very open and easy layout of how a wreck is laid out and are usually on their side or upright. Bikini, on the other hand, has a wide variety including massive battleships from different countries that are upside down (the heavy guns of the battleships make them go turtle as they sink), submarines and not to forget a 40,000-ton aircraft carrier along with being a bit deeper on average. It is more advanced wreck diving. Truk Lagoon is the once in a lifetime trip you think but ends up being a place you can visit often in your career due to cost and logistics. Bikini is truly a once in a lifetime. DB: What are your personal highlights? DB: Explain the Special Guest joining each trip? 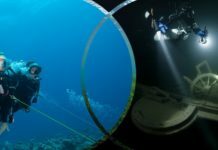 AA: Going back to the concept, besides diving with my best friends on a wreck schedule that was made for explorers, a selfish angle I will admit was to share the experience with people I have looked up to over the years. People whose books I have read followed their expeditions and shaped the industry. I guess my selfish wish resonated because people are seeing real value in that and I wanted to pass that on to the divers joining the boat in the future. Our trips cost a bit more as we offer a large amount of added value in terms of the expertise onboard, the quality of the boat and staff equipped to support the most demanding technical diver. Most importantly to me, there is a group of people in it together who will call you by your first name and will call friends. Briefing room on the Truk Master. DB: Are there new destinations on the horizon? AA: Always. I move slowly in this regard although it can be tempting when the company I work with effectively hold the keys to boats in 13 destinations worldwide. I recall the experience of my first dive in Truk, and now after all this time I, am getting to know my way around everything, in contrast to now when talking minute details with the veterans, about what happened, sharing stories and arguing philosophies. 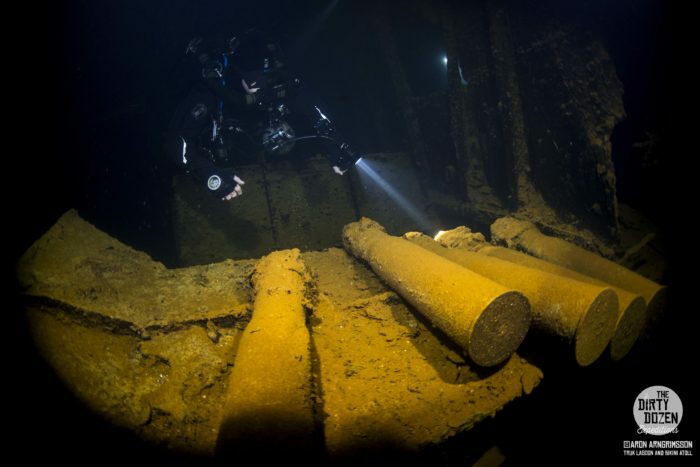 I can name the 50 wrecks off by heart and can recognize photos of them, identify each engine room. 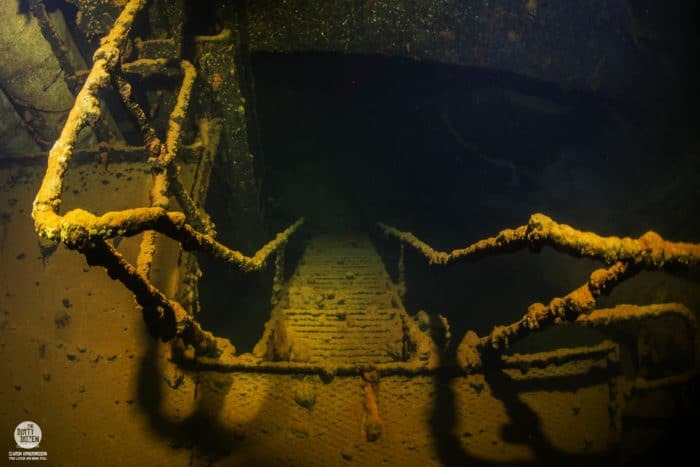 To me, each wreck has a soul, and each ship encapsulates the savageness of war while the mysteries and stories of this Japanese fleet sit beautifully on the seafloor in the central Pacific location. There is still so much to discover I fear I cannot leave without all the proverbial stones unturned. We are looking into other avenues for Truk. 70% of the wrecks are at a recreational depth and we have had quite a few freedivers onboard. 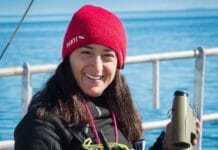 My girlfriend Nataliia Zharkova has introduced me to a new level of competition in freediving and our goal is to create a unique trip with expert staff and boat that is inclusive to all divers. DB: Did you have any mentors/role models that you credit? AA: There are many, again in random order. Kevin Gurr, Jonas Samuelsson, Erik Brown, Richard Stevenson, Richard Lundgren, Mark Powell, Jim Standing, Nick and Bob Hollis, Matthew Robinson, Jill Heinerth, Michael Menduno, Jeffrey Glenn and Martin Cridge. All the people that had my back and did not naysay me when I came up with a crazy idea. In the engine room of the Amagisan Maru, Truk Lagoon. DB: What’s next for Aron Arngrímsson? AA: I have never felt less knowledgeable or experienced than I do now! Spending time with people that are industry leaders does that do you. I am looking to start my pilot license in the near future, go on adventures with my partner and move to a new country. Jeffrey Glenn in the first hold of the Heian Maru observing artillery shells, Truk Lagoon. You can find out more about Aron and his Dirty Dozen expeditions via his website, Facebook page or Instagram profile. It’s rewarding to see you getting some ink, err bits, master Aron! Woo-who! Great profile Vick! !